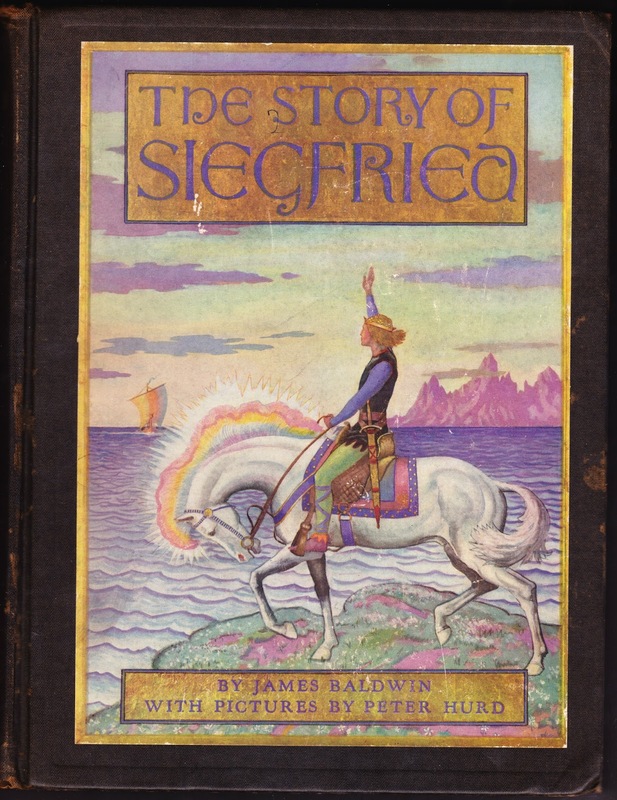 For tonight's installment of "They Don't Make Books Like They Used To," I present the 1931 edition of The Story of Siegfried, as published by Charles Scribner's Sons of New York and London.1 This edition was written by James Baldwin (originally in 1910) and features some very early work by Peter Hurd (1904-1984), who studied under N.C. Wyeth and eventually married into the family. 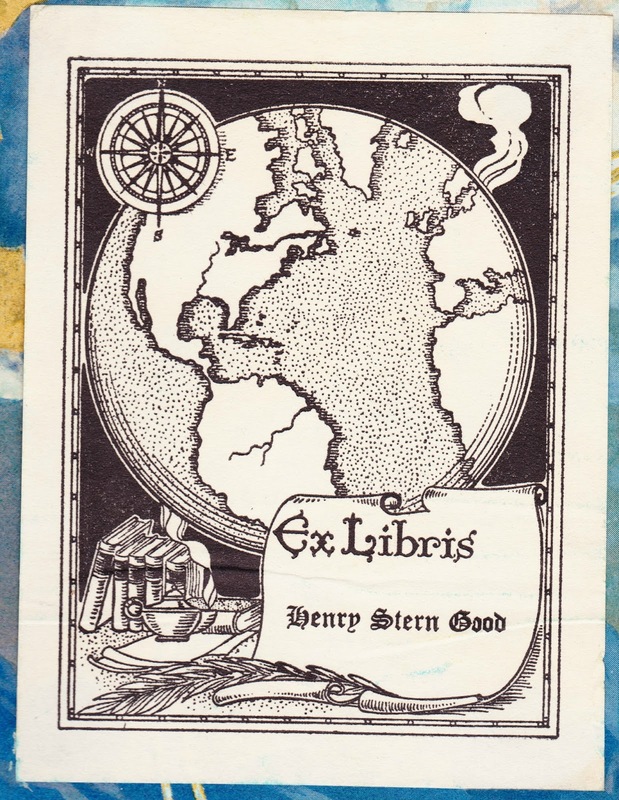 I have no idea who Henry Stern Good was, but he had excellent taste in bookplates. This would appear to show Thor and his flying chariot, led by the goats Tanngrisnir and Tanngnjóstr. 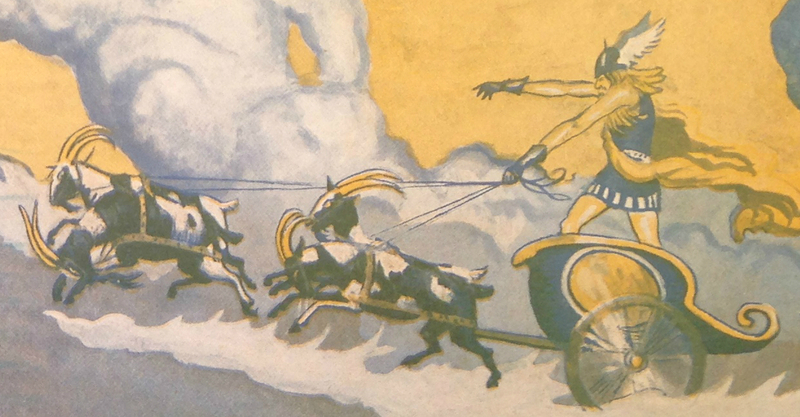 I have no idea why Thor's flying-goat chariot hasn't yet been portrayed in the Marvel Cinematic Universe. Possibly because it would cause a riot of everyone wanting their own flying-goat chariot, which is understandable. 1. Siegfried in a nutshell: Better known as Sigurd or Sigurðr, he's a key figure in Norse mythology. His father fought Odin (and lost) before he was born. Siegfried served as a stable boy to kings, eventually getting Grani as his own steed and then going off on his own series of adventures that involve a dragon, a magic ring, hoarded gold, the ability to converse with birds, dire prophecies, the shieldmaiden Brynhildr, and enough fighting between various combinations of lovers to fill an entire season of Dynasty. And that's just one version of his tale. 2. 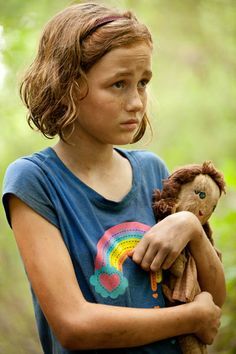 Sarah and I nicknamed Sophia on The Walking Dead "Rainbow Brite," even though her T-shirt did not, technically, feature any horses or trademarked characters. 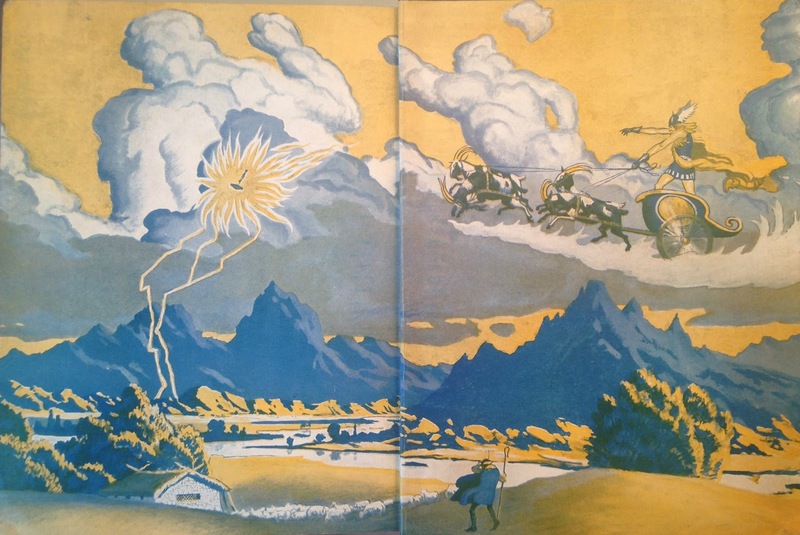 Gorgeous endpapers in 1895's "The Young Conductor"